Telehealth represents an exciting new opportunity for consumers and care providers alike. It promises convenience, control and connectivity — three key ingredients for a positive patient experience and promoting overall wellness. 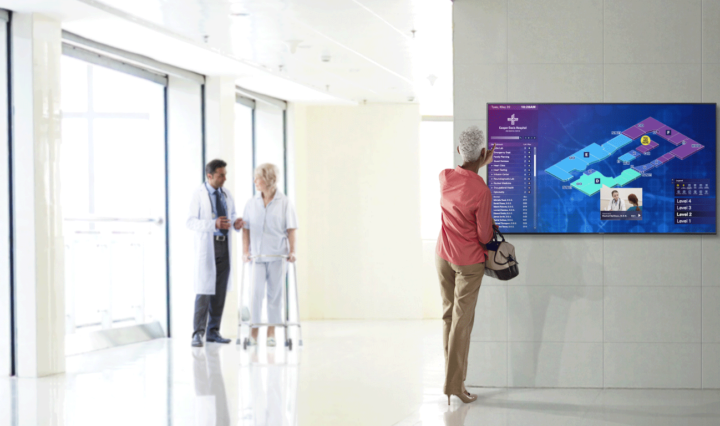 It also leads to new opportunities to streamline workflows, improve patient outcomes, and attract and retain customers by delivering the connected care experience people want and expect in the digital age. The challenge for healthcare IT leaders is choosing the right solution from an already-crowded marketplace which constantly puts forward exciting new technologies and vendors. When choosing a telemedicine solution, you need to understand the four available types, the benefits of these technologies and which solutions generate the greatest impact for your organization. The next step is choosing the right solution and telehealth partner. So, what do you look for in a solution, and who do you turn to for expertise? What you need from a telehealth solution depends on your organization — the size and scope of the business, the typical patients you treat and the areas in which you specialize. Maybe the simplest solution is the best way to go, or maybe you need all the bells and whistles that more sophisticated telemedicine solutions offer. Remote patient monitoring capabilities, for example, vary dramatically from one solution to another. There are tablet-based platforms that require patients or caregivers to manually enter information every day, and more advanced solutions from Vivify that use bluetooth-enabled diagnostic equipment — i.e., blood pressure cuffs, weight scales, glucometers — to transmit data to the tablet and then to the physician or data center. Smartwatch-based solutions such as Reemo keep constant tabs on the patient’s heart rate, activity levels, sleeping habits and whereabouts. For any given application, you can find a number of different solutions that operate on different models. Determining the best solution means knowing what information your care providers need to know and when. For a hospital that’s monitoring high-risk patients recovering from surgery or another major health event, real-time data is critical. For a senior living community, the fall detection and GPS capabilities of a wearable solution would be particularly beneficial. Beyond evaluating individual features, organizations should also determine if there are any specific infrastructure needs that should be accounted for before investing within a solution. Either way, it’s important to know what you want to achieve, now and in the foreseeable future, before investing in a solution. All telehealth solutions are not created equal, because all telehealth vendors are not created equal. When it comes to technology in healthcare, industry expertise matters. You want a partner who understands hospital workflows, administrative and organizational challenges, and healthcare compliance needs — including patient privacy, data security and safety/sanitation. You want a partner who values what you value: The all-important doctor/patient relationship. For example, if you want to offer virtual patient visits, you probably need more than enterprise video conferencing solutions or Skype. There are several robust video telemedicine solutions from reputable vendors in the healthcare space. Software from companies like American Well is designed especially for clinical use and includes relevant security features and functionality such as in-platform documentation and prescription capability. One challenge with choosing a technology provider is that bigger and older doesn’t always mean better. Some of the most innovative telemedicine solutions on the market are from startups or fledgling vendors. You might not recognize their names (yet), but their technology could still revolutionize your organization. How do you know who to trust when you don’t know any of the players? Find out whom among your partners and colleagues also trusts them. Who are the device manufacturers, clinical providers, data analysts and security firms that work with them? Learning from the experiences of your peers is a critical method of assessing solutions that are relatively new to the market or field. The key to a great telehealth experience (for both patients and providers) lies in the combination of innovative software and quality mobile devices. If either the application or the device is subpar, you will likely experience usability issues (as in, no one uses it because it doesn’t work well) or worse yet, security vulnerabilities. Before adopting a new solution, make sure your vendors have done their due diligence to meet HIPAA privacy standards, and how well they can interface with proprietary security solutions or software. You also want to learn about the durability and longevity of the devices and the usability of the software and hardware. With these factors in mind, you can ensure that your organization won’t constantly need to be doing maintenance or replacements, and your staff will be able to instantly start using it without too much hassle. You also want to know that you can rely on your new technology partners to provide the level of support they promised after you sign on the dotted line. How do you know who you can trust? Before choosing a solution, talk to other healthcare IT leaders and learn about their experiences with different telehealth vendors. Read online reviews. Talk to current customers of vendors you’re considering. This requires some legwork, but finding the right telehealth technology partners is as important as finding solutions that do what you need them to do.